Cedar Hill drops as playoff loss shows how margin for error shrinks in postseason. National rankings are fun but state championships are serious business — and once involved in postseason, all that membership in the Top 25 gets you is a big fat target on the back of your jersey. Cedar Hill, for example, last week's No. 15, got ambushed by 14-loss South Grand Prairie in the Texas 6A postseason, and look for some more surprises in the coming weeks, even though the ranked teams usually have an edge in talent and/or coaching. The reasons for the upsets are many, but two of them are confident opponents and postseason pressure. The first is a product of the playoff system that keeps delivering opponents with good records and playoff wins, a combination that leads schools to believe that they really can beat a nationally ranked team — and belief is a powerful thing. The second is that the weight of expectations can make that open 3-pointer or crucial free throw in a semifinal a lot tougher shot than it was during a January regular season game. When everyone expects you to win, a lot of teams wind up playing not to lose, which any experienced coach or player can tell you is a recipe for disaster. So even though we don't expect many teams in the Top 25 to stumble from here on out, it's almost a guarantee that some will. It's a long, long season, and sooner or later there's one of those games where the calls go against you, and the ball bounces funny — and then that banked-in trey at the buzzer sends you home earlier than you expected. 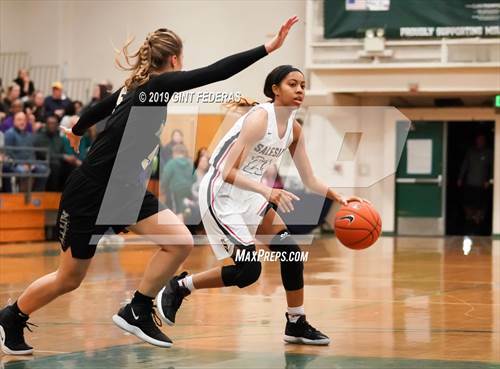 Expected to dominate the 4A Florida playoffs, in part because there are so many Florida brackets that the good teams are spread out in different divisions. But P.K. Yonge is 28-1, after all, and on the other side of the bracket, Carrollwood Day is riding a 25-game winning streak, so neither team will be daunted by playing the No. 1 team in the nation. The Washington Catholic Athletic Conference playoffs start Saturday and finish Monday. It would be a stunning upset if St. John's lost before the finals, but that last game — likely against No. 5 Bishop McNamara or dangerous Paul VI — will be a serious test. After surviving a difficult Southern Section Open Division round robin, the Trailblazers must now play the winner of the other side of the pool play on Saturday at California Baptist College — which would be Windward, a team that once was listed in these rankings. OK, we get it that it's better to have some teams that don't belong in the postseason to make sure that every team that does belong qualifies, but Africentric's next opponent was 2-19, and after that will be a team that hasn't even won 10 games. Get the winner of Bishop Gorman and Desert Oasis in the Southern Region, and then perhaps play one of them again in the state championship series. Regardless, though, this is not a great year for Nevada and Centennial should roll. If Bishop McNamara wants to get revenge on No. 2 St. John's (both losses this year are to the league rival) in the Washington Catholic Athletic Conference final Monday, job one is to get past Paul VI on Sunday. Most have discounted the quality of Edison's in-state competition, but note that Friday's opponent is 15-1 Michigan Center and Tuesday's is 15-3 Kearsley. And both are on the road. The National Association of Christian Athletes' championship schedule has New Hope playing twice Wednesday and once Thursday — with the title game Friday, potentially against No. 13 Hamilton Heights. Mansfield Timberview plays in the Texas 5A class, the second largest, but that doesn't mean the competition is lacking. Cooper, 29-5, is Friday, and then the likely opponent Saturday is 33-4 Amarillo (that's a combined 62-9 record if you're counting). Oh, and the regional finals Sunday would probably put 36-2 Fort Bend Hightower or 35-3 Manvel on the other side of the scorer's table. Beaver Dam begins the Wisconsin Division 2 playoffs Friday, with fourth seed Grafton, 16-6, favored to be Saturday's opponent. In Ohio's Southwest District, the top seeds get to pick their brackets, so next up for Mount Notre Dame is 20th seed Milford. The winner of 15-4 Anderson and 15-5 Little Miami would be Tuesday's opponent. The 4A Section finals are Thursday, with 24-7 Evanston eager to put the first blemish on Maine West's record. If Maine West moves on, next up would be the winner of 29-4 Fremd and 29-7 Lake Forest on Monday in the Super-Sectionals. Hopes of getting a shot at No. 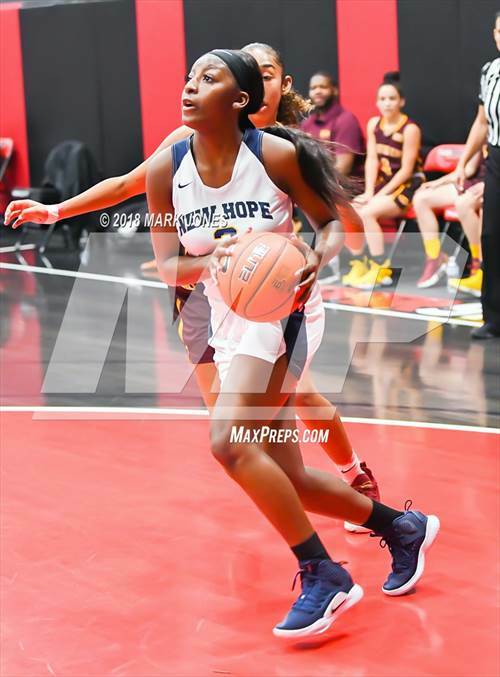 8 New Hope depend on beating once-ranked Riverdale Baptist on Thursday — plus of course winning the two games Wednesday. As always seems to be the case, Christ the King gets a long break this time of year. 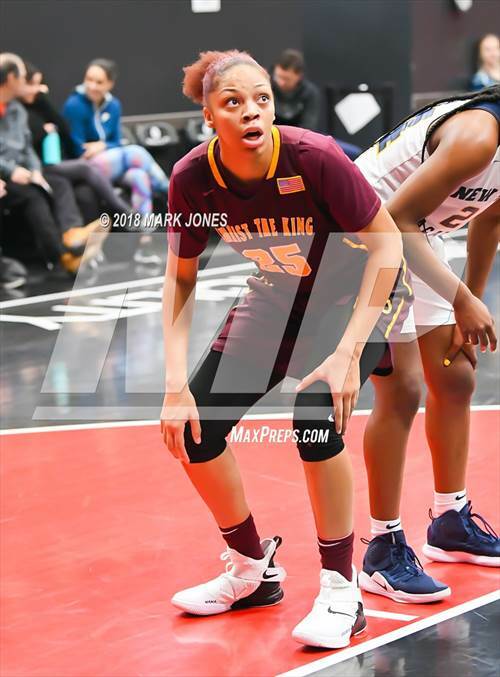 The next game won't be until Feb. 27, in the semifinals of the Brooklyn Queens Girls' High School Athletic Association playoffs. Though Friday's Region 4 game against 12-15 Franklin County probably isn't much of a danger, 27-3 Coffee County could be a challenge Monday — though the game will be at Riverdale. Hopkins and Wayzata are the two best teams in Minnesota, and Hopkins won round one, at home, by just three points. Round two is at Wayzata on Friday, and round three is likely to occur in postseason. Slipped past rival Manasquan 53-51 Tuesday and moves on to the Shore Conference final Saturday against 24-2 Manchester Township. The romantically title Non-Public A tournament starts Tuesday. With Cedar Hills out, Hendrickson moves from the fringes of the Xcellent 25 into slot No. 18. The only loss was by three points (to Rudder) but there's little mercy in the 6A playoffs. 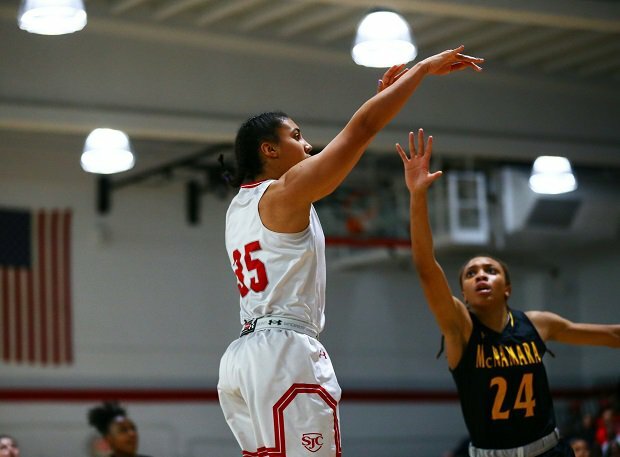 Roland Park's season is over, the first Xcellent 25 team to complete its schedule, and the last game was a loss — to archrival St. Frances Academy, no less. But two earlier wins over St. Frances keep Roland Park in the rankings. Recency bias suggests that St. Frances should be ahead of Roland Park, but the two earlier losses still give Roland Park the edge. 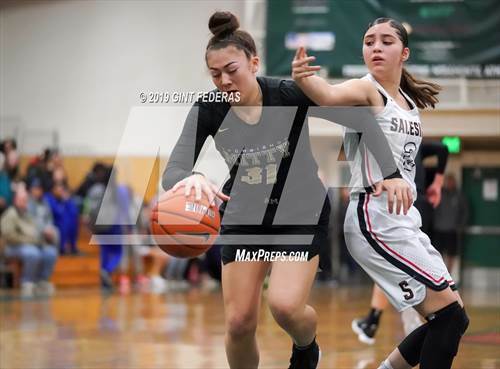 St. Frances, however, could still move up with a good showing in the stacked Bishop Walsh Girls Invitational Tournament, which begins Feb. 28. Why Putnam City West has to play 2-18 Lawton on Thursday in the 6A playoffs is unclear, but at least the winner of 12-9 Westmoore and 17-6 Norman will be somewhat of a test Saturday. The Oregon regular season doesn't end until Friday, and Southridge will face a tough opponent, Beaverton, at Beaverton to finish up. Plays league rival St. Ignatius on Wednesday in the Central Coast Section Open Division semifinals, but Northern California fans are much more excited about the potential matchup with rival Pinewood in the Saturday finals. Though the Pennsylvania Independent Schools Athletic Association doesn't get a lot of respect, Germantown Academy must first navigate past 21-6 Abington Friends on Friday, and then deal with the winner of 22-3 Shipley and 23-6 Penn Charter on Saturday to win the title. Princess Anne took it easy against Salem on Tuesday, winning only 81-22, but the Class 5 Region A semifinals and finals will require more focus. Dropped out: No. 13 Northside (Fort Smith, Ark. ), No. 15 Cedar Hill (Texas).